Oxford Basic Youth Sweatshirt with "Elmira College" printed on chest. 50% cotton/ 50% polyester. Champion. Elmira College purple youth rain coat. Brand is Champion. 100% polyester. Elmira College purple youth hoodie sweatshirt with Elmira College on the front in gold writing. Elmira College gold onies. Brand is 'College Kids'. 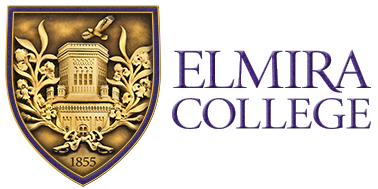 Elmira College purple bib with 'Elmira College' on the front in gold writing. Oxford or Purple Basic Youth T-Shirt with "Elmira College" printed on chest. Champion. Elmira College youth purple hockey tee with white and gold writing. Brand is Champion. 100% Cotton. White Baby Bib with Purple Edging. Purple and Gold Elmira Soaring Eagle Print. AAM.